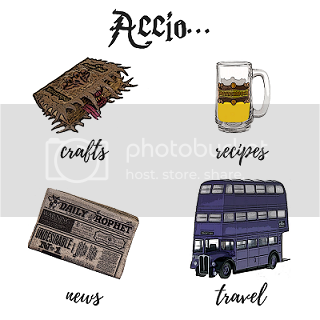 Have a Harry Potter fan in your life that you need to buy a gift for? Look no further than this list of Harry Potter gifts for the perfect Potterhead in your life! The Harry Potter artefact box that includes the Hogwarts letter they have been waiting for their entire life! 2. What better way for a Potterhead to zen out than with a Harry Potter Coloring Book? Get the coloring book an Amazon for $9.97. 3. A Chocolate Frog that won’t jump away when you try to eat it! Get this yummy treat on Amazon for $21.97. 4. A delicious 6 pack of Butterbeer that’s so great it could have come from The Three Broomsticks! Get this 6 pack on Amazon for $28.28. 5. A heat changing mug that will make anybody feel like they are magic! Get this awesome mug on Amazon for $19.99. 6. A Harry Potter cookbook full of magical recipes straight from the Great Hall! Get the cookbook on Amazon for $12.20. 7. The entire Harry Potter series on DVD, because what better way to spend a rainy weekend? Get the DVD set on Amazon for $49.99. 8. A time turner necklace to complete any outfit! Get the official Noble Collection version on Amazon for $49. 9. A marauder’s map perfect for any mischievous Hogwarts student! Get the map on Amazon for $35. 10. A Hogwarts Alumni shirt to show off their true school allegiance! Get the shirt on Amazon for $13.99.